Item # 319779 Stash Points: 13,995 (?) This is the number of points you get in The Zumiez Stash for purchasing this item. Stash points are redeemable for exclusive rewards only available to Zumiez Stash members. To redeem your points check out the rewards catalog on thestash.zumiez.com. 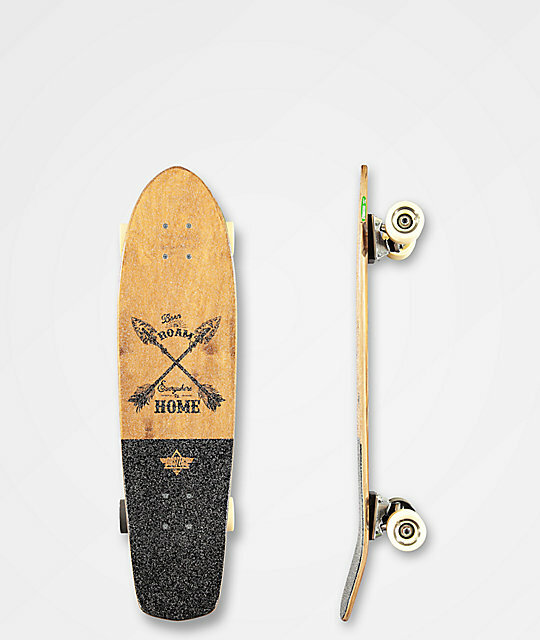 Shred the town in style on the Dusters Roam 31" Cruiser Complete Skateboard. Tensor trucks provide a stable ride at higher speeds and the mild concave shape maintains a predictable feel under foot. Large wheel wells leave plenty of space for the 62mm Dusters brand wheels, and the equally large kick tail keeps this set up easy to maneuver while providing tons of pop. Finished off with a carved bottom graphic for a one-of-a-kind look, this board is a must-have. 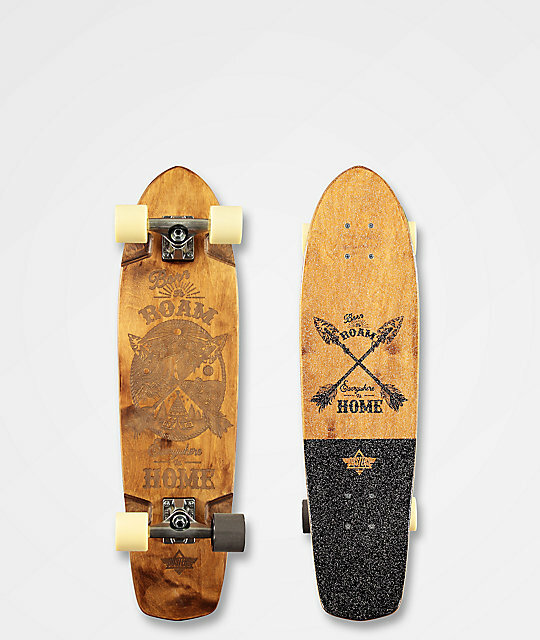 Roam 31" Cruiser Complete Skateboard from Dusters. Custom graphics on top veneer.